The FAI say they will respond to Sport Ireland at the "earliest opportunity" after being asked for more info about a 2017 loan. Sport Ireland are seeking "urgent clarification" from the Association after they admitted to borrowing 100-thousand euro from Chief Executive John Delaney. Sport Ireland say they were never made aware of any financial problems. Meanwhile, Republic of Ireland manager Mick McCarthy has lost another striker before the Euro 2020 qualifiers. Shane Long has been ruled out of both games with Gibraltar and Georgia with a groin injury. It's a big setback for manager Mick McCarthy who is already without Ronan Curtis and midfielders Callum O’Dowda and Alan Browne. Millwall striker Aiden O'Brien has been called up as a replacement. David McGoldrick looks in pole position to start this week. 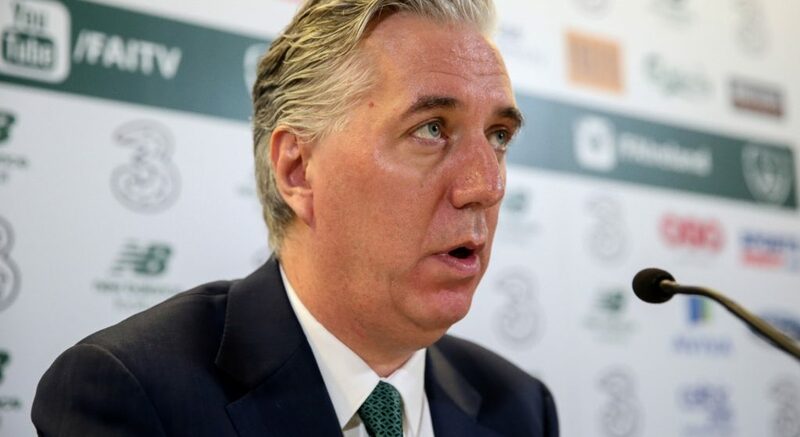 John Delaney has questions to answer over a bridging loan he made to the FAI. Paris Saint-Germain have condemned what they call Patrice Evra's "deeply shocking" comments. The offending remarks came after his former club Manchester United's Champions League victory over the French side. "The remarks were deeply shocking within the club, which was particularly committed to the values of respect and openness to others. "The fight against homophobia is at the heart of PSG's action. England defender Danny Rose says fellow players were "over the moon" when Raheem Sterling highlighted the way media covers black footballers. The Manchester City player was the subject of alleged racist abuse last December. He claimed newspapers helped "fuel racism" by the way they portray young black footballers. Rose says Sterling started a very important conversation. 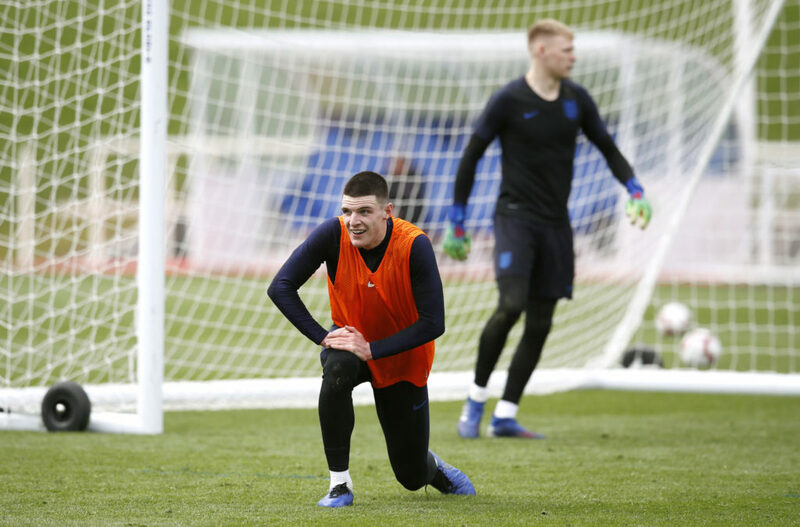 Declan Rice training at his first England camp. Declan Rice says he wants to forget about his Republic of Ireland career and move on. And as one English sportsman turns his back on Ireland, another Englishman is talking about becoming a citizen. Stuart Lancaster says extending his stay at Leinster was a no brainer. The 49-year-old signed a two-year new contract with Leinster as a senior coach. Lancaster’s time at Leinster has helped rebuild his reputation after England’s disastrous pool exit from the Rugby World Cup in 2015. He's hoping to bring even more success to the reigning European champions. And finally today, Padraig Harrington will take part in this year's Irish Open. The three-time Major winner and 2020 Ryder Cup captain hasn’t played since November due to a wrist injury. The Dubliner though has has added the tournament to his Tour schedule. Harrington's involvement is a big boost to the event following the loss of their top draw Rory McIlroy. The former tournament host will skip this year's event to focus on preparing for the Open. 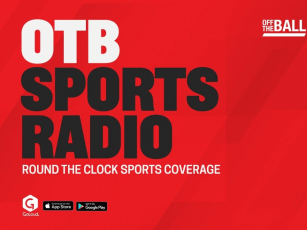 You can watch this morning's full OTB AM show here. You can catch more from the AM Newsround right here.